Michael Cohen has been one of Donald Trump’s closest associates for years. 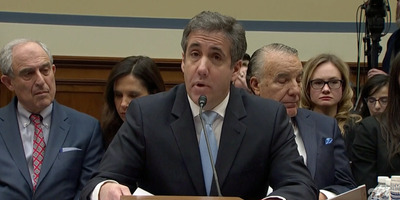 On Wednesday, Cohen appeared before the House Oversight Committee and spoke about his time working for Trump. Cohen was sentenced to three years in prison in December after pleading guilty to tax fraud, bank fraud, and campaign-finance violations in the Southern District of New York, and for lying to Congress in special counsel Robert Mueller’s investigation. The violations were related to payments to buy the silence of two women, Karen McDougal and Stormy Daniels, who say they had affairs with Trump. 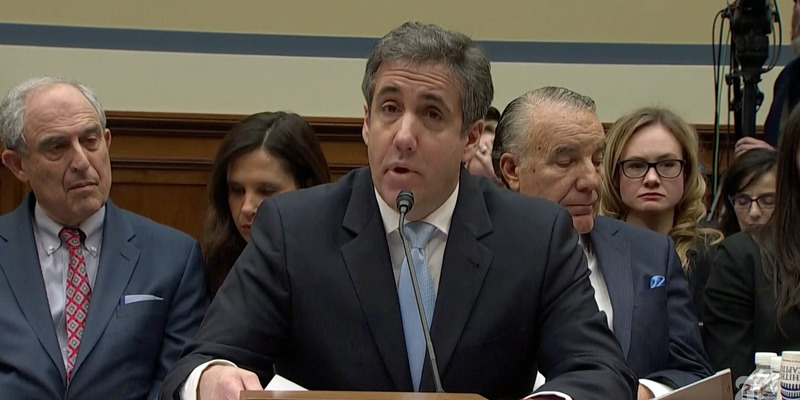 “I have fixed things, but I am no longer your fixer, Mr. Trump,” Cohen said in his prepared remarks. Follow along with all the updates from Cohen’s testimony here. Cohen’s brazen words endear him to Trump, who is known to obsess over loyalty. For more than a decade, Cohen was by Trump’s side, first as the treasurer on the board of Trump World Tower in New York and now as his personal attorney. Here’s a look at how the two men’s relationship was formed and eventually fell apart. Cohen’s fascination with the Trump brand began in back 2001, when he bought his first Trump apartment. Cohen would quickly become one of Trump’s most ardent supporters – but has since become one of the biggest legal threats to the Trump presidency. Five years later, while working at a law firm, managing several side businesses, and still living in New York, Cohen met Trump through his eldest son, Donald Trump Jr.
After Cohen advised Trump on some legal matters, Trump reportedly became so impressed with Cohen that he invited him into his office and offered him a job. Cohen helped Trump throughout his campaign for president. In 2011, Cohen helped launch a website, called Should Trump Run, to gauge public opinion about whether the reality-TV host and real-estate mogul would have a shot at winning the presidency. Trump passed on the opportunity that year, despite Cohen’s pressure. 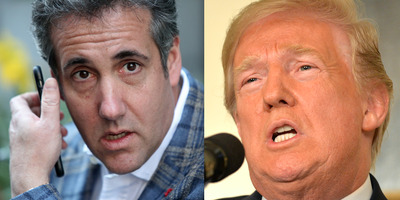 Over the next several years, through all the controversies — Trump describing Mexican immigrants as rapists, the infamous “Access Hollywood” tape, and Trump’s equivocating comments about neo-Nazi protesters in Charlottesville, Virginia — Cohen never blinked. “I’m the guy who protects the president and the family,” Cohen told Vanity Fair. “I’m the guy who would take a bullet for the president. I’d never walk away,” he added. Even during the 2016 campaign, when Cohen could have made millions writing a tell-all book about his experience working for Trump, Cohen said there was “no money in the world that could get me to disclose anything” about the campaign, Vanity Fair reported. Getty ImagesMichael Cohen and Donald Trump. 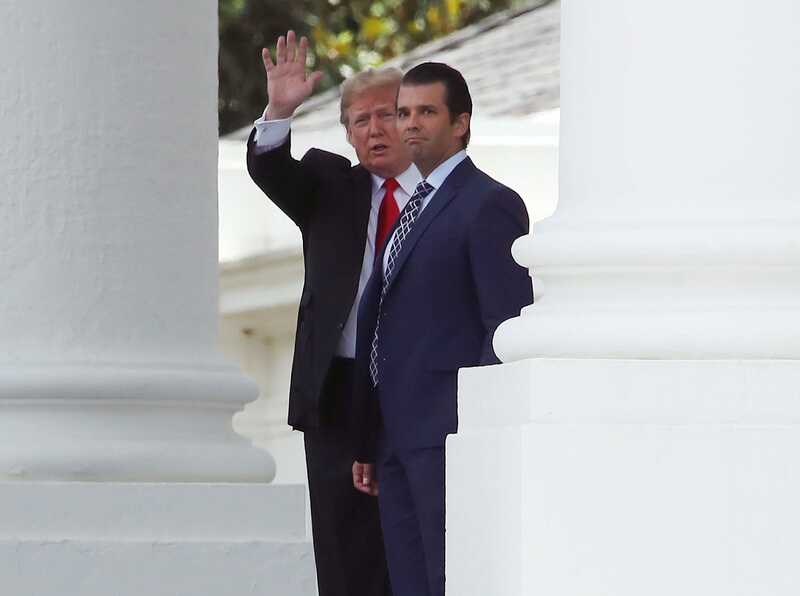 David Schwartz, who is one of Cohen’s longtime friends and personal lawyer, told CNN that Trump called his right-hand man at “every dinner” the two have had together. No one tested Cohen’s loyalty to Trump more than Stormy Daniels, the adult-film actor and director whom Cohen admitted to paying $US130,000 just days before the 2016 presidential election, with federal prosecutors saying it was done “at the direction of” and “in coordination with” Individual 1, referencing Trump. Daniels, whose real name is Stephanie Clifford, said the money was to keep her quiet about an affair she said she’d had with Trump back in 2006. Cohen and other Trump representatives have denied the affair. While the more salacious claims about her sexual encounter with Trump grabbed most of the headlines, one startling accusation may have implicated Cohen. In 2011, weeks after she agreed to tell a sister publication of In Touch magazine about what she described as a yearlong relationship with Trump, Daniels said a man approached her in a Las Vegas parking lot. Ethan Miller/GettyAdult film actress Stormy Daniels arrives at the 24th annual Adult Video News Awards Show at the Mandalay Bay Events Center January 13, 2007 in Las Vegas, Nevada. After the “60 Minutes” interview, Daniels’ lawyer, Michael Avenatti, told NBC News that the man she said threatened her “had to be someone that is related to Mr. Trump or Mr. Cohen.” In response, Cohen’s lawyer demanded Daniels cease and desist and apologise for the suggestion that Cohen was behind the incident. While there is no evidence suggesting Cohen was responsible for the threat, Cohen said in his congressional testimony that he threatened people, including “nasty reporters” at least 500 times at the behest of Trump. Cohen’s political support for Trump was rooted more in his personal admiration for the president than in ideological foundations. Cohen once voted for Barack Obama, and he didn’t officially become a Republican until March of 2017, nearly two months after Trump’s inauguration, when he was named deputy finance chair of the Republican National Committee. In October of 2018, Cohen changed his official affiliation back to the Democratic party and encouraged Americans to vote in the 2018 midterms. Cohen’s work for Trump led to a slew of legal troubles. His office was first raided by the FBI in April of 2018, with federal agents seizing hundreds of thousands of documents. 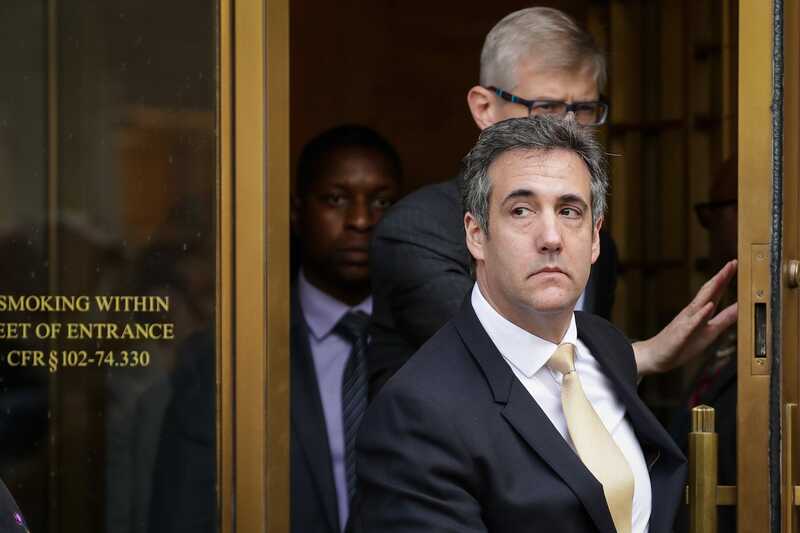 In August, Cohen pleaded guilty in the Southern District of New York to tax fraud, bank fraud, and campaign-finance violations related to the Daniels payments and a similar payment to kill a story about an alleged affair between Trump and model Karen McDougal. Federal prosecutors said in their December sentencing memo for Cohen that he made the payments “in coordination with and at the direction of” Trump, establishing the president as an unindicted co-conspirator in the case. On November 30, Cohen struck a deal to plead guilty to one count of lying to Congress in exchange for cooperating with Robert Mueller, the special counsel leading the investigation into Russia’s interference in the 2016 US presidential election. Cohen is now turning on his former boss and mentor. In his congressional testimony on Wednesday, Cohen called Trump a “racist,” a “cheat,” and a “con-man” who engaged in criminal conduct while in office. Cohen levied several bombshell accusations against Trump in the statement. For instance, Cohen said Trump had previous knowledge of Wikileaks’ plans to release a trove of hacked emails from the Hillary Clinton campaign and the Democratic National Committee days before the Democratic National Convention in 2016. Cohen said he not only made the illicit hush-money payments at the direction of Trump, but testified that Trump directed him to threaten news outlets and others with litigation “at least 500” times — even threatening the schools Trump attended not to release his grades or SAT scores.